Dahana is a family operated Japanese restaurant discretely situated in the heart of the culinary hub that is Petitenget. 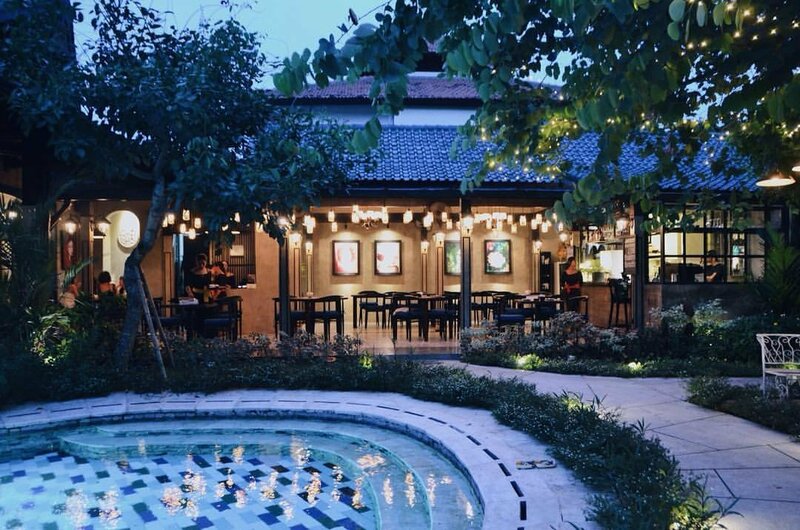 Separated from the hustle and bustle of the outside world by a softly lit ornamental pool, and surrounded by perfectly manicured gardens, Dahana offers a tranquil setting and comfortable space to cater for a relaxed culinary experience. The restaurant is set in an old villa which has been lovingly decorated with a modern yet cozy blend of old school Bali with a touch of Japan. The menu is a beautiful representation of various schools of Japanese gastronomy and the pricing is very reasonable. Dahana is a hit with the local ex-pat scene and is a beautiful destination for a dinner for two though more are welcome.